Cornwall Museums Partnership (CMP) has launched the very first ‘Cornwall Heritage Awards’, which will celebrate the achievements of museums and heritage organisations across Cornwall. The awards, which were officially launched on Tuesday 10 October, will give the opportunity to showcase the hard work of museums as well as the staff, volunteers and trustees that support them. 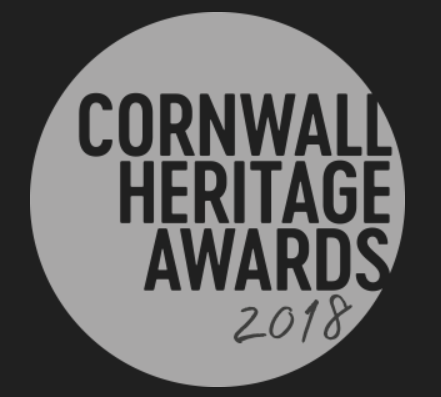 Applicants can enter up to seven awards, which include innovative project of the year, heritage heroes, the family friendly award, the audience initiative award, the Cornish heritage award, project on a budget, and the object of the year award, which will be subject to a public vote in the new year. Emmie Kell, Director of Cornwall Museums Partnership encourages local museums to get involved in the new awards: “We are excited to be launching such a fantastic new initiative. The Heritage Awards have been designed to recognise and reward achievement, and raise the profile of museums and heritage organisations in Cornwall. The application process is open until Friday 15 December 2017. Winners will be announced at the Awards Ceremony that takes place on 20 March 2018 at Scorrier House in Redruth. For more information and to apply, please visit the Cornwall Museums Partnership website.